Great location! Great base to visit Pompeii, Naples, Amalfi, Paestum and Caserta. By the pedestrian area and short walk to the promenade and the old town. Big bed! Parking is an issue in Salerno but Francesco arranged a place in a parking garage for us ($15 a day but worth every penny) Just a short walk away! En route we discovered Mama Rosa Restaurant- our fav! Try the lunch menu! Francesco is an excellent host. His concern for our comfort was very welcoming. We were met to help navigate the parking, as well as assist with luggage. The apartment was very clean and well equipped. The location was perfect, yet it was quiet for sleeping. We highly recommend this property. Thank you so much francesco the appartment was wonderful. Paul and sharon. We had a great experience at Francesco’s apartment! He’s a excellent host and took care perfectly of all the.details of our stay. We are a family of four and this place was very comfortable for us, completely clean, well organized and the location is very convenient and safe to walk around.. He was checking and respond immediately before, during and after our staying, making sure that we were good, My two girls loved it and I just can appreciate that I found this perfect apartment.. Thanks Francesco!!!! Great clean, modern apartment with all necessities provided, in easy walking distance to the central train station, busses and a ferry dock. A/c in both rooms is a bonus. Very friendly and helpful host. Very good location and warm welcom. Definitely recommend it! Everything! Fabulous friendly host Francesco who will do almost anything to ensure you have a great stay in his apartment. The apartment is beautifully decorated and is very comfortable. 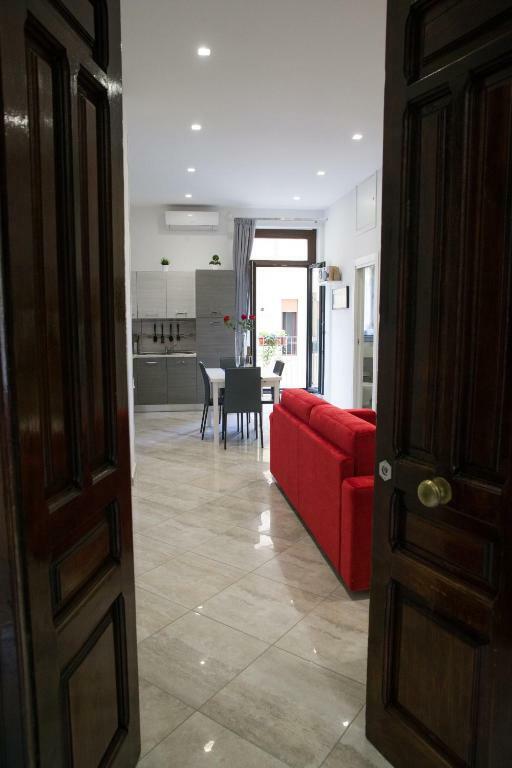 Great location 5 mins walk from train, bus, and ferry terminals and right in the heart of Salerno shopping and restaurant area. Highly recommended . Clean, apartments looks like it is in pictures. Ideal location. Very polite and helpfull host. Great place to stay! 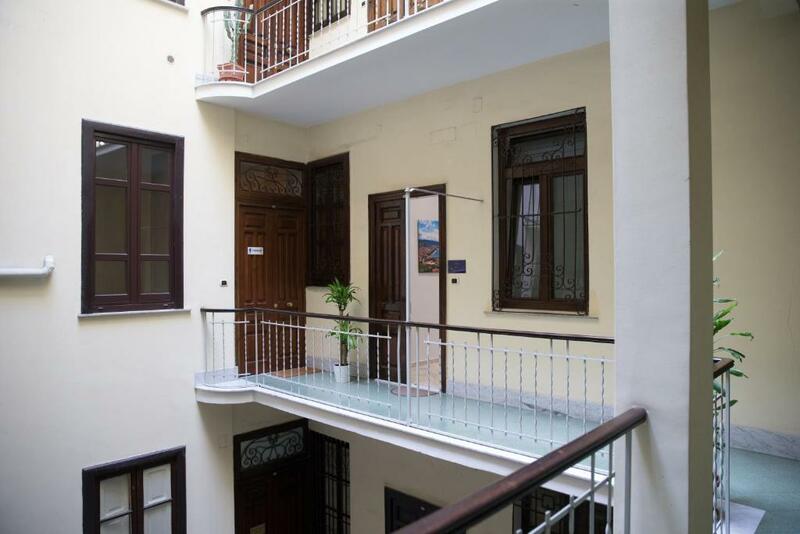 Fantastic apartment in a very good location. Really clean and spacious. Excellent value for the price. Good contact with the owner, who was very helpful with the late check-in. The host, Francesco was very friendly and helpful, and even arranged a driver for us. The accommodation was great, exactly as presented on line, and Francesco explained everything we needed to know. I would highly recommend this flat. Lock in a great price for Suite dei Principati – rated 9.9 by recent guests! One of our top picks in Salerno – and a guest favorite. Suite dei Principati is an apartment with a balcony, centrally located in Salerno. 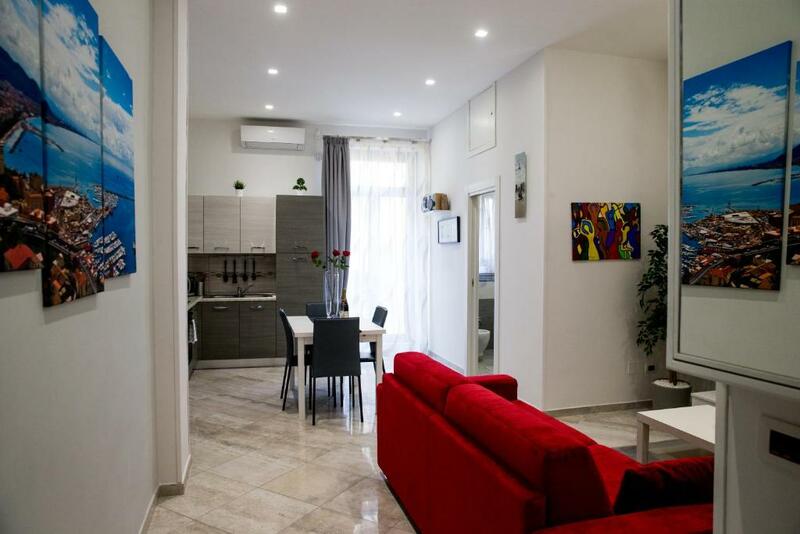 The apartment is 1.4 mi from Salerno Harbor and at walking distance from the nearest beaches. Free WiFi is featured throughout the property. The kitchen has an oven, fridge, and a microwave and there is a private bathroom with bathrobes, free toiletries and a hairdryer. The unit also has a private furnished balcony, as well as air conditioning. Towels and bed linen are provided in this self-catering accommodations. Car hire is available at the property and the area is popular for fishing. Tribunale di Salerno is 1,000 feet from Suite dei Principati, while Stadio Arechi is 3.7 mi away. The nearest airport is Naples International Airport, 29 mi from Suite dei Principati. This property also has one of the top-rated locations in Salerno! Guests are happier about it compared to other properties in the area. 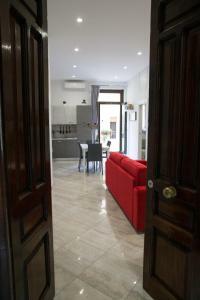 This property is also rated for the best value in Salerno! Guests are getting more for their money when compared to other properties in this city. 뀐 Located in the top-rated area in Salerno, this property has an excellent location score of 10.0! 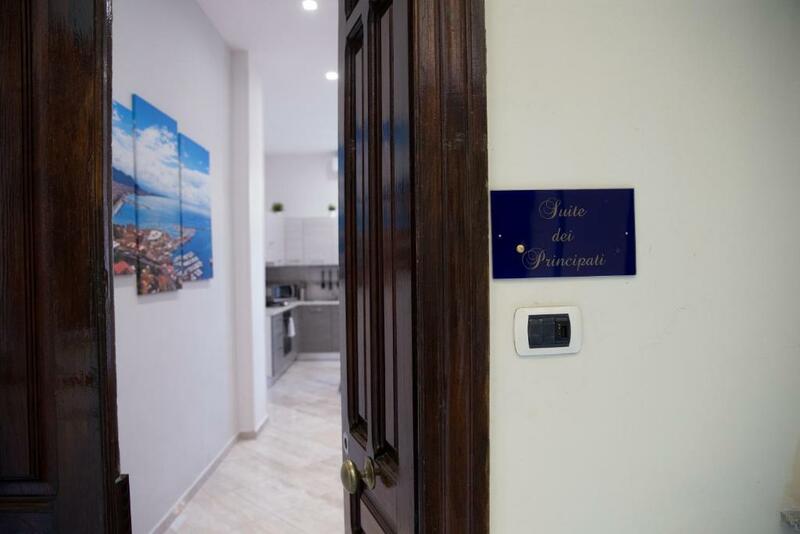 When would you like to stay at Suite dei Principati? The house inn with all the comforts . Great location, very central in the heart of the city . Excellent starting point for all city and regional tourist destinations . I do this activity with love and passion.I'm looking to give guests maximum availability and to realize their every request. The heart of the city . The center from which to explore the famous " Luci d'Artista " in the Christmas period . Excellent location to reach the Tourist Pier in a few minutes walk . Bus Stop under the building . Excellent metro stop in the vicinity . You could safely park your car in the parking lot and turn on foot , as the major historical sites , cultural , and folk are in the immediate vicinity . Restaurants and discopub are near. Antica trattoria Salernitana "Vicolo della Neve"
House Rules Suite dei Principati takes special requests – add in the next step! Please note that a shuttle service from Salerno Airport to Naples costs EUR 80 one way, while a shuttle to Rome costs EUR 250 one way. A surcharge of EUR 30 applies for arrivals from 16:00 until 20:00. Check-in after 20:00 is not possible. All requests for late arrival are subject to confirmation by the property. Please inform Suite dei Principati of your expected arrival time in advance. You can use the Special Requests box when booking, or contact the property directly using the contact details in your confirmation. Maybe the only downside was the wi-fi, which is quite slow. There was NOTHING we didn't like. We have travelled the world, and been in many types of accommodations, but this apartment was a great value. Best of all, Francesco genuinely wants you to enjoy his city, as well as the apartment. 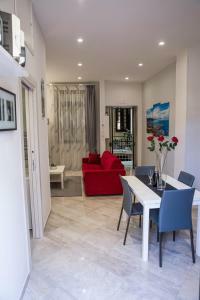 We apartment was fantastic, the host extremely helpful, the location to the shops exactly what we were looking for. Nicely maintained with a lot of plants inside and out giving the apartment a well loved feeling. Not as advertised. Not on ground floor as stated. No parking on site as stated. The appartment was small, dark and dingy. No washing machine as stated on the internet. Bed very hard. Amazing accommodation. Far exceeded what I expected! This apartment's modern and cosy. It's easy to find. There're everything to need: clean fresh towels and lining, a hairdryer, an iron, an air conditioning, a big beautiful balcony, high speed wi fi and etc. It's easy to get to a bus station to Amalfi and to a train station. The host's very friendly polite attentive and it's easy to get in touch with him. The apartment is well equipped and clean. Location is very close to the centre and sea. The apartment met our expectations. From our pount of view ,the best ratio quality and price. Francesco was very hospitable and helped us very much.I strongly recommend that apartment. Our host Francesce was great. Our train was over an hour late and he waited for us, gave us good information and maps etc in English. The apartment is modern, large and light with a pretty balcony and everything we needed. The lift was an added luxury!